Now you can protect and provide additional insulation for your Whynter portable freezer with a Whynter insulated flexible transit bag. 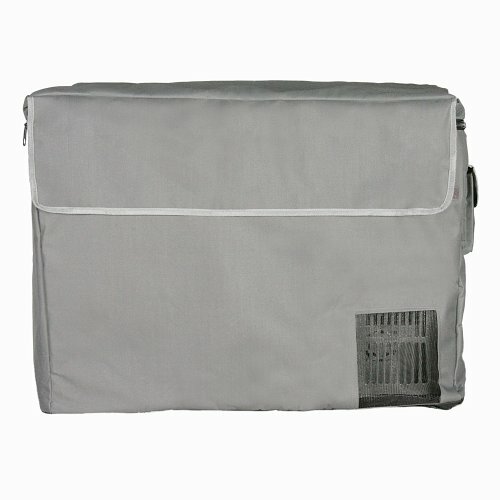 The transit bag comes custom tailored with openings for your freezer's handle grips, air vents, and power cords to allow operation with the bag in place. The transit bag also comes with a fast open top flap for quick and easy access to the freezer compartment. A convenient side pocket also allows you to tote any cords and accessories with the bag. This genuine Whynter transit bag comes in three different sizes to fit your FM-45G (FM-4TBG), FM-65G or FM-62DZ (FM-6TBG) and FM-85G (FM-8TBG) portable freezer.